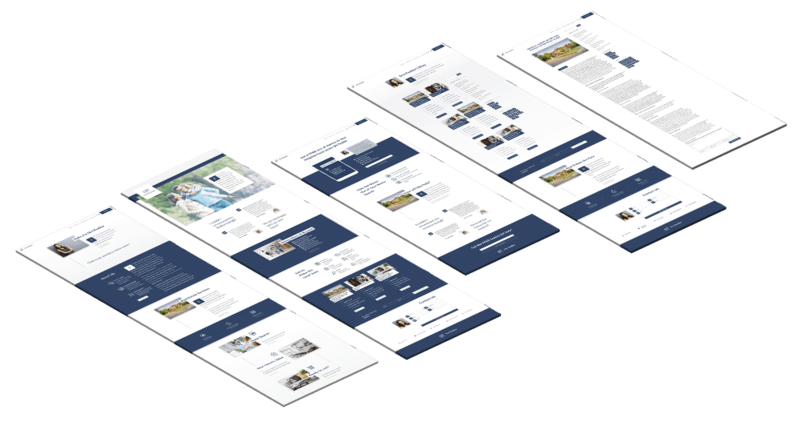 The Divi Realtor child theme and layout pack is everything a real estate agent needs for their personal website! With premium features and a modern look, Divi Realtor is an affordable and complete website solution for real estate agents who want to grow their homeowner lead pipeline and maintain a professional web presence. In just one click your website will look like our demo, and you will be on your way with a modern, fully responsive website. PLUS get a lead magnet landing page layout included absolutely free! Use this to build up an email list of potential home buyers in your area. Hi, I’m Nelson, and I designed this Divi Realtor website template with the typical real estate agent in mind. In my experience, this is the type of website they need. The Divi Realtor child theme is a complete WordPress website template installed as a theme. 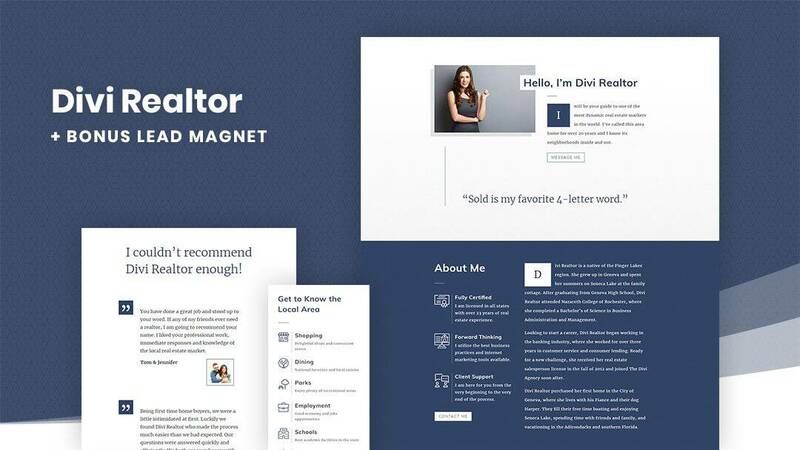 The Divi Realtor layout pack is a complete WordPress website template installed as a plugin. Everything a realtor needs for their personal website! Our child themes and layout packs are super easy to install. Just one click will install all the pages in the preview site. Our child themes and layout packs are built to look great and be 100% responsive on all types of devices and screen sizes. Change the color scheme super fast with just a few clicks to brand this theme and layout like your own. Get your theme or layout installed on your website and leave the work to us.